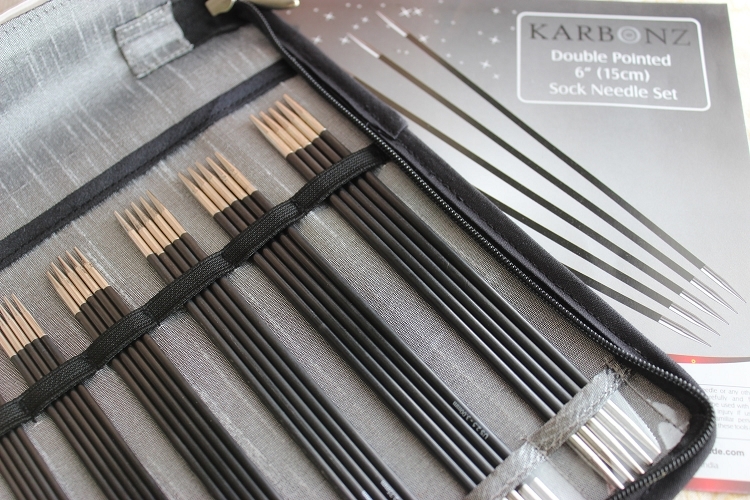 - 6 sets of double point needles. 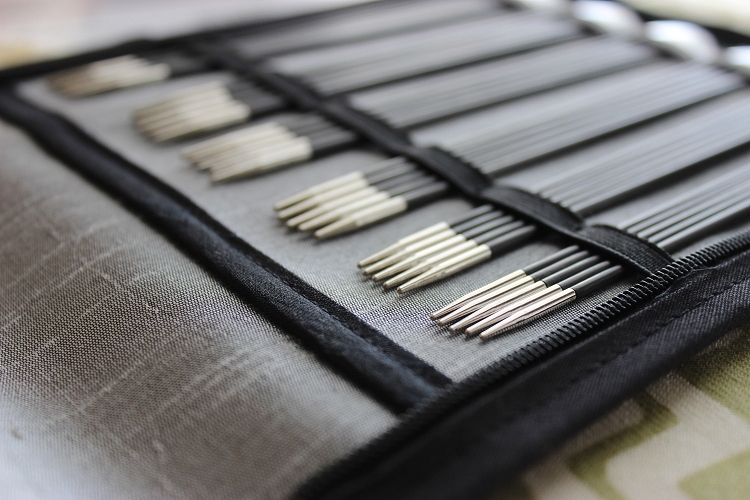 Each set has 5 needles. - US Sizes 0, 1, 1.5, 2, 2.5, and 3 / Metric Sizes 2, 2.25, 2.5, 2.75, 3, and 3.25 mm. - Packed in a zippered, clear vinyl and fabric case. The first dpns to inspire me to buy a "set"
I love the feel of these needles! 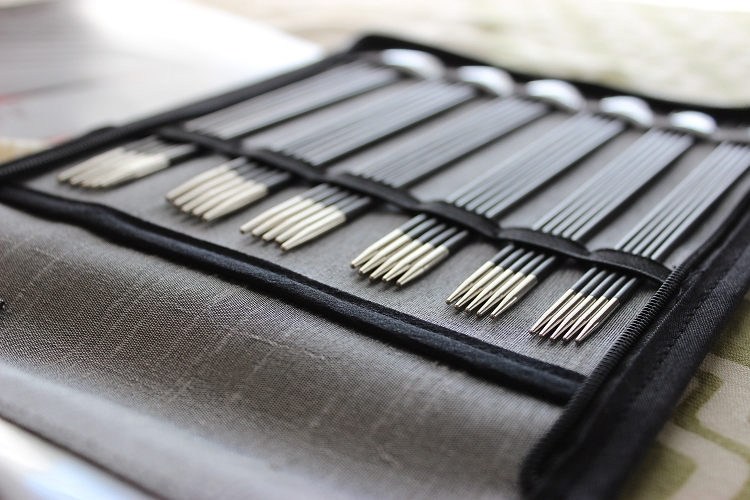 The tips are perfect and the smoothness of the needle makes the knitting experience extremely enjoyable and pleasant. This is the first time I liked a needle enough to want to buy a "boxed set".